SHato & Paul Rockseek – controversial producer & DJ duo representing the best EDM sound the Czech scene has currently to offer. Reaching #01 Beatport charts with single „Crypoint“ and following releases on labels such as Armada, Vandit, Black Hole, Garuda or Euphonic, the duo ranks among the absolute home top. That is also confirmed by single „Wonderfooled“, which with 5 millions plays became the most streamed Czech single on YouTube of 2013. SHato and Paul also managed to break through in style abroad. With original productions - singles "Wonderfooled", "Deer Friends" or "Game On" and most frequently staged mashups "City of Wonderwalls" or "We Are Mozart's Friends", the guys appeared in the world’s biggest radio stations (SiriusXM, BBC1 , di.fm), TV stations like RTL 2 and received a huge support by DJs many stars - W & W, Deniz Koyu, Armin van Buuren, Above & Beyond, Dash Berlin, Ummet Ozcan, Paul van Dyk, Tritonal, Arty, Gareth Emery, Audien, Ferry Corsten, Paul Oakenfold and many more. Currently SHato & Paul Rockseek are most mentioned in connection with the single "Game On", which shifted the boundaries of Czech house music and triggered a huge wave of emotion, positive reactions and the booking requests for their upcoming tour. These are SHato & Paul Rockseek. And the Game is On. SHato & Paul Rockseek present brand new progressive track called "SO GOOD". "With such melodic prowess at the helm, how could this not become one of your favorite records? SHato and Paul Rockseek crafted up something really special here, as 'Here.Now' is both incredibly catchy and exciting from start to finish. We can say with absolute certainty that this one will rock your world." ℗ Garuda under exclusive license to Armada Music B.V.
We're proud to introduce "THROUGH THE RAIN". We wrote this track 3 years ago in a small garden shed (which also happened to be our first studio). It was supposed to be a joint track with Paul van Dyk, but after years of waiting it was decided that the track will not be a part of his POD3 CD. We think it would be a shame not to share this track with you because even until today, it literally defines our love of music, passions and hopes. The stunning vocals are sung by fantastic David Call who significantly contributed to this piece of art. If you like the track, you can simply thank us by pushing the "SHARE" button. SHato & Paul Rockseek strike back with yet another brilliant free release! Featuring majestic strings and a massive drop, "PHENOMENAL" is a truly unique piece of house music production from the Czech EDM scene. 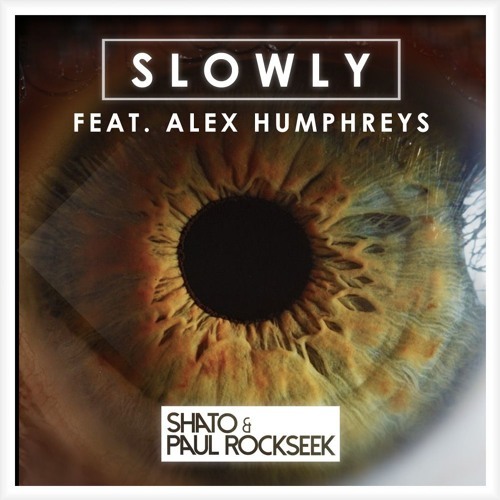 SHato & Paul Rockseek are taking Czech house music to the next level! After several months spent at the studio working on new sounds, the young rebels are coming back with a huge floorkiller. Festival sound, massive break, outstanding bassline - ladies and gentlemen, this is "Game On"! The track is relased worldwide free for download via EDM.com on 20.02.2015. Check out our brand new tune feat. Alex Humphreys on vocals. Release date 09.03.2015, Vandit Records. Brand new track in collaboration with Alex Humphreys. Release date: 27.05.2014, Nueva Recordings including LTN Remix. The young rebels SHato & Paul Rockseek proudly present GAMEON Radio - a monthly mixed podcast filled with the best of recent EDM, including exclusive releases and mashups. We are proud to announce new SHato & Paul Rockseek remix for Kyau & Albert ft. Jeza - Make It Home Tonight. SHato & Paul Rockseek releasing new track `SO GOOD`. We are proud to present our new track `SO GOOD` releasing in cooperation with HouseMagazine.cz. The song is now available for download or stream. SHato & Paul Rockseek vydávají po několika měsících od úspěšného singlu "Cobolo" další release, tentokrát zcela zdarma. Singl nesoucí název "SLOWLY" vznikl před několika lety ve spolupráci s britským zpěvákem jménem Alex Humphreys a olomoucké djské duo se rozhodlo "šuplíkovou" věc vyslat do světa. Ke stažení včetně extended verze skrze link níže. SHato & Paul Rockseek- COBOLO is OUT NOW! SHato & Paul Rockseek - COBOLO is OUT NOW! Checkout our brand new track 'Cobolo' that has been supported by Don Diablo in his radioshow Hexagon Radio #125 labeled as "Track of the Week". Stay tuned!. Release info is coming soon. Check out the latest eposide of GAMEON Radio every fisrt day of the month on our Mixcloud. Available on iTunes or via RSS feed. GAMEON Radio #022 is here. Listen, download & share! Free release is planned to 3rd April 2017. GAMEON Radio #019 is here. Listen, download & share! Check our Facebook page for more content. SHato & Paul Rockseek © 2015. Powered by SHatoCMS © 2015. All Rights Reserved.